Ft. Christmas, FL: This was going to be a calling out to stop and take in the beauty around you. To notice the wonder of nature, allow yourself to be completely present and captivated by a single dew drop on a blade of grass. To take the time to contemplate the edges of fog. 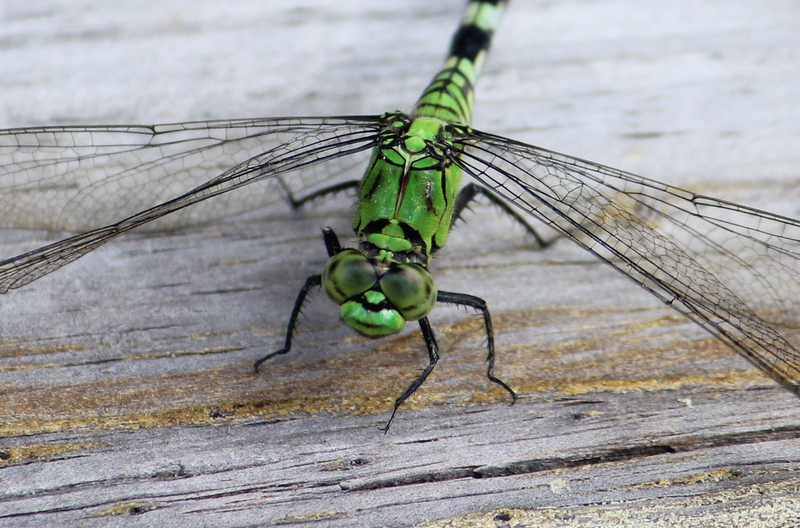 To mentally catalog the different colors and faces of dragonflies. Or the many nuances of reds and oranges in the changing leaves. But nothing I could write could tell a story or issue a challenge quite like the strands of perfectly round crystals found in the spider web above. A creature the size of a nail head, weaves silk from blade of grass to blade of grass with perfect spacing and single-pointed focus. 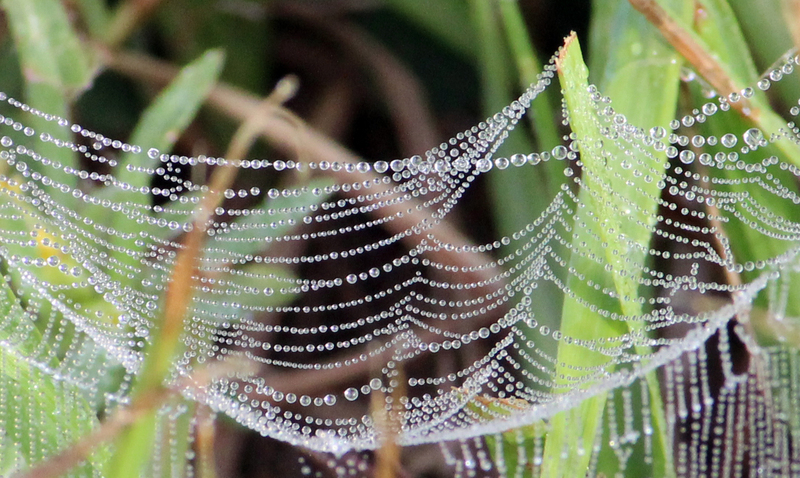 Meant to catch a meal, it has captured pearls of dew making it visible instead. Less than 6 inches in circumference, this tiny lacey home was constructed on the ground, in the middle of a field. It would have been so easy to miss. So easy to step on. How many times have you brushed past a plant heavy with dew or fresh from a rain only to lament the dampness of your once dry clothes? It’s all about perspective.